See what happened on this date in history: Sept. 26. 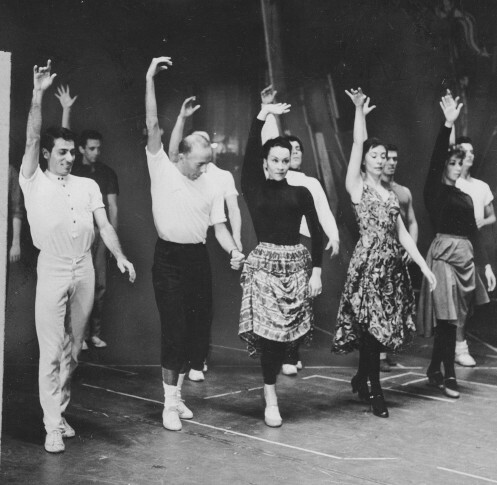 In 1957, the musical “West Side Story” opened on Broadway. Today is Wednesday, Sept. 26, the 269th day of 2018. There are 96 days left in the year. On Sept. 26, 1960, the first-ever debate between presidential nominees took place as Democrat John F. Kennedy and Republican Richard M. Nixon faced off before a national TV audience from Chicago. In 1892, John Philip Sousa and his newly formed band performed publicly for the first time at the Stillman Music Hall in Plainfield, New Jersey. In 1955, following word that President Eisenhower had suffered a heart attack, the New York Stock Exchange saw its worst price decline since 1929. In 1957, the musical play “West Side Story” opened on Broadway. In 1962, Maury Wills of the Los Angeles Dodgers stole his 100th base during a 13-1 victory over the Houston Colt .45s. “The Beverly Hillbillies” premiered on CBS. In 2003, President George W. Bush and Russian President Vladimir Putin (POO’-tihn) opened a two-day summit at Camp David. Ten years ago: Hollywood screen legend and philanthropist Paul Newman died in Westport, Conn. at age 83. In their first debate of the presidential campaign, held at the University of Mississippi, Republican John McCain portrayed himself as a battle-tested elder running against a naive rookie, while Democrat Barack Obama suggested McCain was a hothead who’d made the wrong choices on the Iraq war, corporate taxes and more. Swiss pilot Yves Rossy leapt from a plane over Calais, France, and crossed the English Channel on a homemade jet-propelled wing in 13 minutes. Five years ago: It was revealed that some workers at the National Security Agency had misused the government’s secret surveillance systems at least 12 times over the previous decade, including instances where they spied on spouses, boyfriends or girlfriends, according to embarrassing new details disclosed by the agency’s inspector general. The U.S. and its international partners emerged from a U.N. meeting with Iran declaring a “window of opportunity” had opened to peacefully settle their nuclear standoff. Bud Selig announced plans to retire as baseball commissioner in January 2015. One year ago: Republican Sen. Bob Corker of Tennessee announced that he would not seek re-election. Former Alabama Chief Justice Roy Moore won the state’s Republican primary for U.S. Senate, defeating incumbent Sen. Luther Strange, who’d been backed by President Donald Trump. (Moore would lose the December special election to Democrat Doug Jones.) Amid criticism that the federal response to Hurricane Maria in Puerto Rico was insufficient, the administration said it was sending a flotilla of ships and thousands more military personnel to the island to address the growing humanitarian crisis there, and President Donald Trump announced that he would visit Puerto Rico and the U.S. Virgin Islands the following week. Saudi Arabia announced that women would be allowed to drive for the first time, starting in the summer of 2018.